Established in 1985, Capital Transmission, has built it's reputation on fast, honest and reliable clutch, differential and transmission repair service. Our ATRA CERTIFIED Technicians diagnose and fix automatic transmission problems efficiently thus saving our customers lots of money. This is why LOYAL RETURN CUSTOMERS make up 80% of our current work load. We want to THANK YOU for your loyalty, business and trust! A local family owned business, We at Capital Transmission Service realize the importance of not wasting money on unnecessary clutch, differential or transmission repair service. Our GOAL is to REPAIR or REBUILD your transmission for the LEAST AMOUNT OF MONEY WITHOUT COMPROMISING QUALITY. 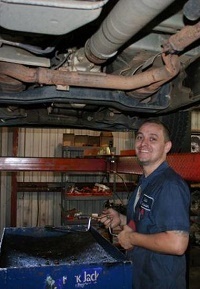 Come in today for a free road test and written repair estimate. 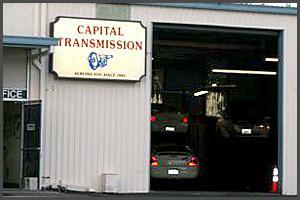 Capital Transmission Service, a Citrus Heights Transmission Repair Shop, is a professional clutch, differential and rebuilt transmission service repair shop located at 6046 San Juan Ave near Greenback Lane behind The Cornerstone Restaurant in the Carl's Jr and 99 cent Store complex. We provide ATRA ASE Certified transmission repair, rebuild service includes free towing in Fair Oaks, Carmichael, Orangevale, Rio Linda, North Highlands, Gold River, Rancho Cordova, Elverta, Lincoln, Elk Grove, Woodland, Placerville, Newcastle, Penryn, El Dorado Hills, Antelope and Auburn, Ca. We stock a complete line of Automatic Transmission Filters , Gaskets, and seals for all major foreign or domestic vehicle types including Honda, Acura, Toyota, Nissan, Mazda, Mercedes, Bmw, Cadillac, Chrysler, Dodge, Jeep, Chevrolet, Gmc, Ford, Lincoln, Mercury and more. Our Huge Inventory includes linkage bushings, clips, as well as Electronic solenoids and Sensors. This enables us to complete simple transmission repair or maintenance while you wait in our spacious Customer Lounge. When your Transmission, Transfer Case, or Differential leaks, causing a low fluid condition, more expensive repairs are sure to follow. Let our EXPERT STAFF diagnose and repair those transaxle leaks before they put a serious dent in your pocket book. Nobody welcomes high differential or transmission repair bills, but if your Differential or Transmission needs Overhaul, Rebuild or Repair, our ATRA, ASE Certified Technicians FIX your power drive train components the first time. We have one of the best transmission shop warranty reputations in all of Fair Oaks, Carmichael, Lincoln, Elk Grove, Sacramento, Woodland, North Highlands, Rio Linda, Elverta, Antelope and Citrus Heights, Ca. Ask us about our ATRA Nationwide 36 Month or 50,000 Mile Warranty on most Updated Quality Rebuilt Transmission or Major Transmission Shop Repair Service. We want to thank all our Loyal Customers for their business and trust for over 25 years! Keeping a well-maintained vehicle is paramount to your safety.